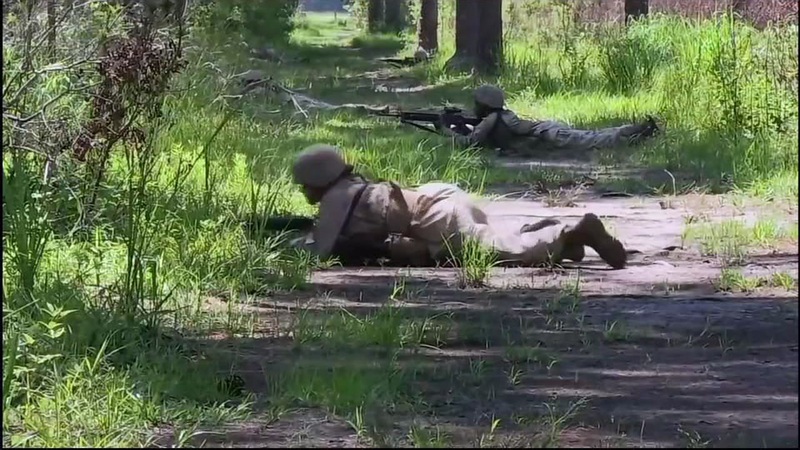 LEJEUNE, NC -- For the first time, the Marine Corps has put three enlisted female Marines in a ground combat unit once open only to men, officials said Thursday. They will serve as a rifleman, machine gunner and mortar Marine, said 1st Lt. John McCombs, spokesman for the 2nd Marine Expeditionary Force at Camp Lejuene. They report Thursday to the 1st Battalion, 8th Marine Regiment, which has had three female officers in its ranks for several months to help integrate the enlisted females into the unit, McCombs said. The women's names and ranks were not released. "This process ensures the Marine Corps will adhere to its standards and will continue its emphasis on combat readiness," McCombs said in an email. Their entry in the unit marks ongoing efforts to comply with Defense Secretary Ash Carter's directive in December 2015 to open all military jobs to women, including the most dangerous commando posts. Carter's decision also stood as a rebuff to the Marine Corps, which was the only service branch to ask for an exception to women serving in certain infantry and combat slots. The Army, Navy, Air Force and Special Operations Command all said they would not seek any exceptions and would recommend removing the ban on women in dangerous combat jobs. In June, six months after Carter's move, The Associated Press reported the Marine Corps had seven female officers either serving in combat posts or waiting in line to serve, and 167 women with noncombat jobs in front-line units. There are about 40,000 Marines in the 2nd Marine Expeditionary Force.